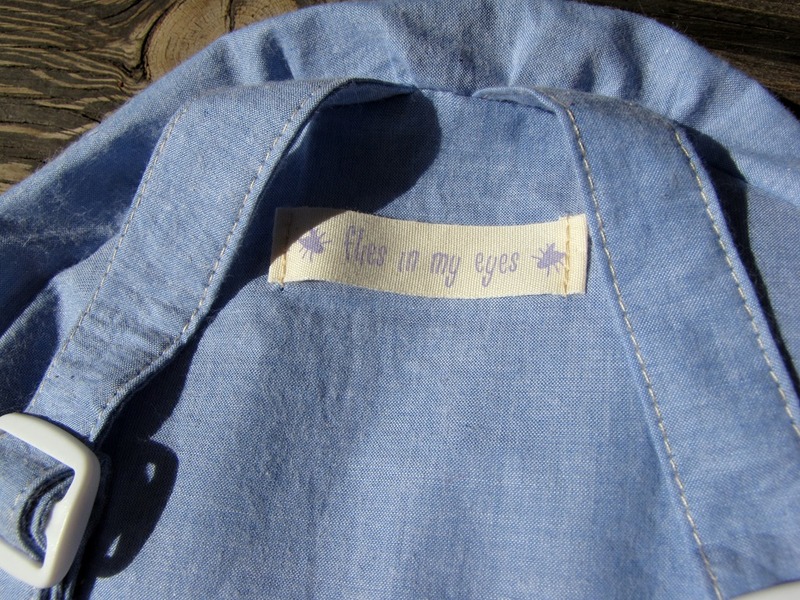 About a month prior to Halloween, I was contacted by the lovely Britny Gutierrez, who wanted to know if I could make a small light denim backpack for her 6 months old baby. 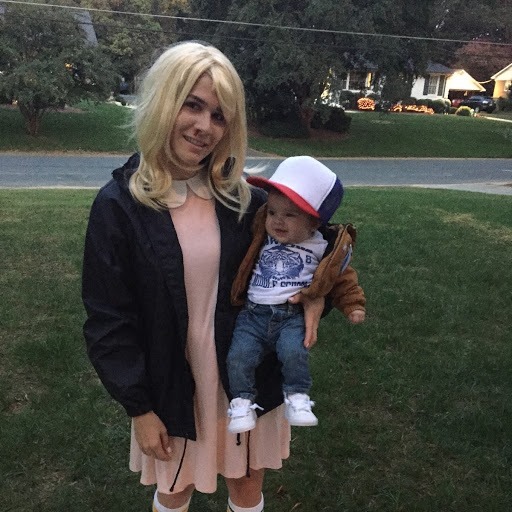 She wanted to dress him up as Dustin from ‘Stranger Things’, which is pure genius in my opinion, since he doesn’t have his teeth out yet… Britny herself was (of course) going as Eleven. We set up a price and I got to work. 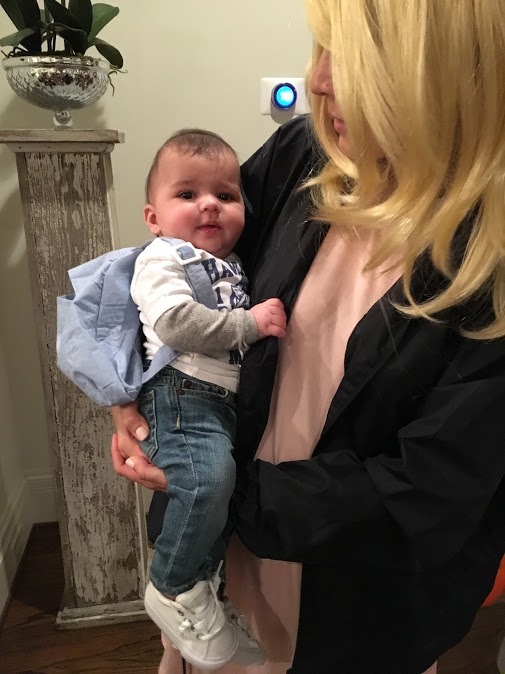 This is the outcome and Britny was gracious enough to send me some pictures of the complete costume. 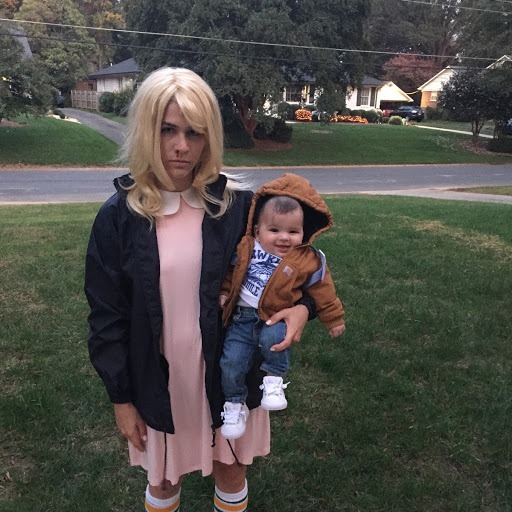 Her kid is adorable and the entire thing is so awesome! Well, you already know I’m a sucker for a good cosplay. 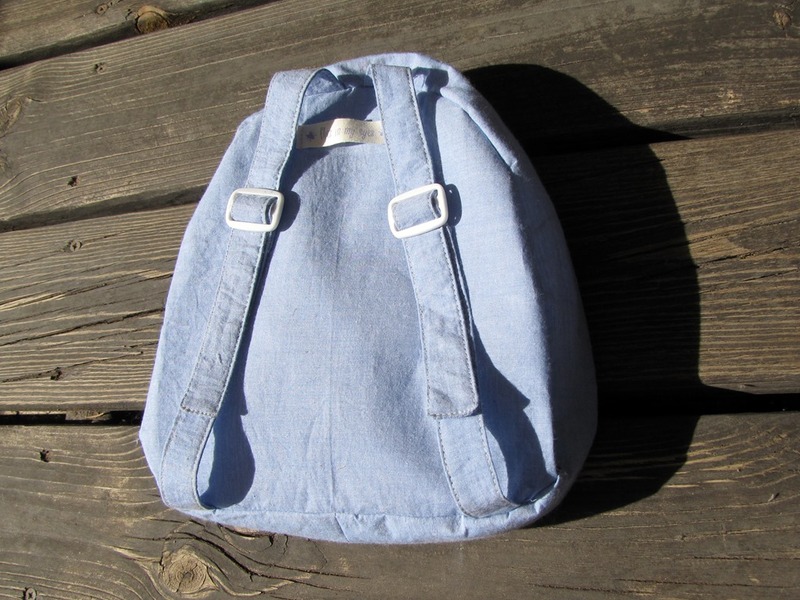 And thanks to her, you can now also purchase The Light Denim Backpack on my Etsy page, for a costume or just for regular play. This backpack is specially made for toddlers who want big-children’s bag but are too small for it. 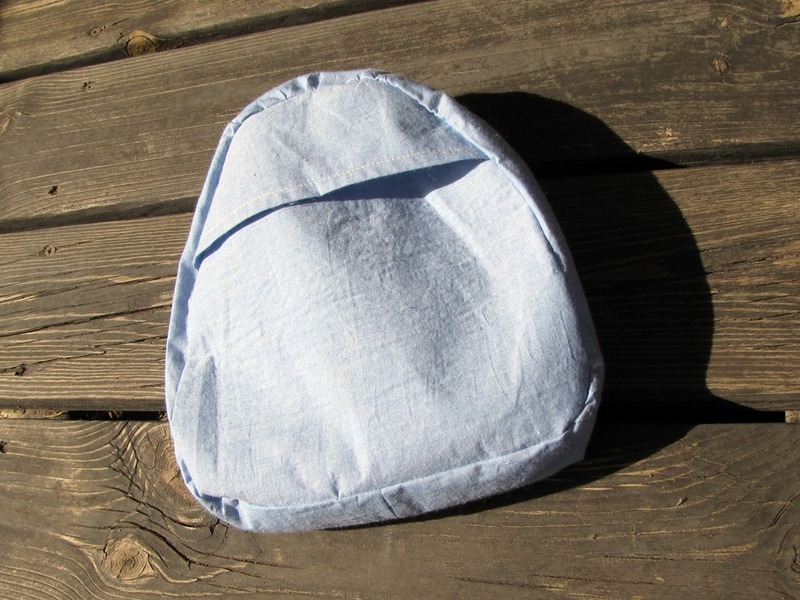 It has no button, zipper or snap so it’s very easy for small hands to open, reach inside and fill up, and it has an overlap to help keep treasures secure inside.